In the last year we have heard many reports from people with Yurts (and also others) that there have been very high gusts of winds in many locations where high winds have not been a problem in the past. Since this has been happening, we have been recommending the Snow and Wind Kit more than we ever have in the past. Also, with hurricane season around the corner, this is a good time to look over your Yurt set up and be proactive about adding some wind bracing if you feel that it is necessary. First of all, be realistic about the possibility of high winds in your area. If you think winds could be a threat to your Yurt, here are some steps that you can take. You may not need to take all of them, it is going to be your call. If you live where there are regularly occurring high winds, then we recommend that you do take all of these steps. 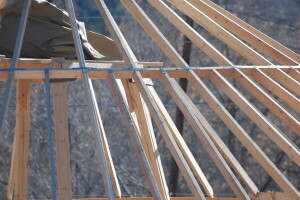 1) Make sure that you have installed the rafter brackets, which attach your rafters to your compression ring. 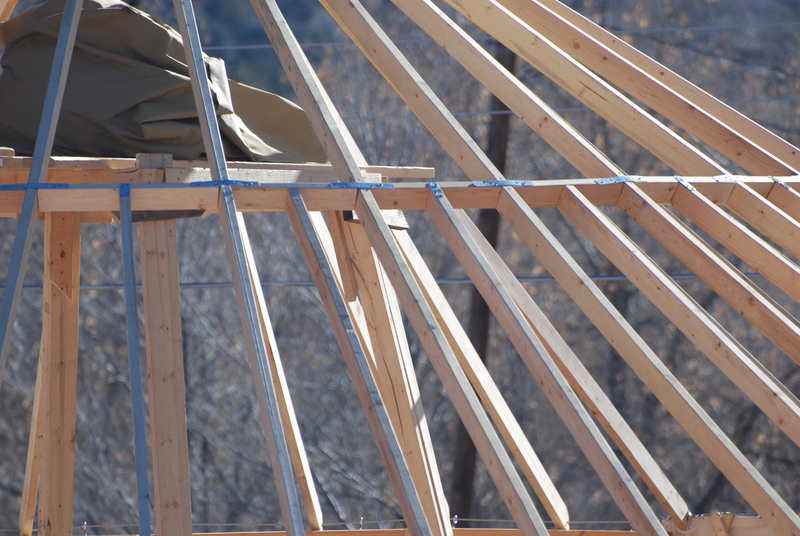 2) Make sure that you install a screw at the bottom end of each rafter positioned so that each rafter cannot come off the cable even in a big wind. 3) Have a wind tie down cable handy, even if you do not want to use it daily. This attaches to your compression ring and ties the ring down to the floor! Be prepared to set it up when preparing for a storm or when leaving your Yurt for any length of time. This cable runs through the large eye screws that have been installed in your compression ring and then attaches to hardware that is recessed in the center of your deck. If you are building walls to create separate rooms in your Yurt, you can run this cable down the center of the wall before it is finished off and it won’t be an eye sore. 4) You can run strong nylon rope between your outer canvas and insulation, attaching it to the aircraft cable at the top of your lattice on the top and to your deck at the bottom. Go around the perimeter of your Yurt and do this every couple of feet. 5) Attach angle brackets to the lattice where it sits on your floor. 7) If you think you still need more support, you can use strapping that is similar to tow straps to cross over your Yurt. I know of a Yurt that uses two of these, placed so that they are attractive. The ends are anchored in the ground in cement footings. This Yurt has stood up to 100 mph winds and the owners are confidant that it will continue to. I hope that these ideas offer you some inspiration to be very realistic about potential difficult weather conditions where you live. If you would like coaching for your specific situation, please contact us and we will be glad to offer recommendations for your site. Normally, we tend to do more than necessary to create a safe, positive Yurt living experience for ourselves. Because of this, our Yurt living experiences have been totally positive!